3rd July 1985, a new member was added into the Chadha family. We were a joint family back then. I wasn’t the first grandson born in the family, but as far I know, I was the most pampered. 2 months into this world and I developed a problem called Hydrocephalus. As soon as it was confirmed that something was wrong, we quickly drove down from Chandigarh to Delhi. Delhi at that time was simmering thanks to the anti-Sikh riots. Dad tells me that he stood at the gates of AIIMS holding me in his arms and the guard wouldn’t allow him inside accusing him of being a terrorist. After he pleaded and begged him, we were allowed in, but only till the kitchen and that’s where my check up was done. Anyways, the problem was soon diagnosed and I was rushed to the operation theatre. After the operation, the doctor came and told my dad that there are high chances that I may be a mentally retard and the best he could hope for is that I have an IQ of 80. After this dad went and visited ever single gurudwara in Punjab and asked god for just one thing, “Just make sure my son gets to study.” Contrary to all expectations, I turned out to be quite a bright little kid. At the age of three, I could actually talk to people about every tennis player of those times. At an age when kids couldn’t pronounce Czechoslovakia, I could tell people what the capital of that country was. My dad tells me this story every time I curse life or god. He just says, “If it wasn’t for that god, you wouldn’t have been what you are today. Out of all the people on this planet, you can’t afford be a non-believer. ” If it wasn’t for this incident, I would have never believed in the concept of god at all. I still don’t believe in the concept of multiple religions, but I do believe that there is a divine power up there who is running the whole show on this planet. Anyways, I had a couple of surgeries in Delhi in the next couple of years and then five more in Hyderabad, where we shifted after dad got a job in Asian Paints. We moved to Hyderabad in early 1989. After staying in a rented house for two months, we moved into a flat given to us by the company. The society in which we moved into, had people from all over the country. I was a very touchy kid who was always over protected by my parents. To top it all, I was a complete tube light (although, some would say I still am). This proved to be a very dangerous combination. This made me very vulnerable and the other kids would find it very easy to manipulate me. I always found it difficult to learn when others taught me something, but would end up learning that very same thing all by myself in no time. My dad toiled unsuccessfully for over a month to teach me how to ride a bicycle and how to skate, but finally lost all hope one day. From the middle of nowhere, I started riding the bicycle and started skating all by myself. The problem wasn’t that I had a problem with his teaching; it was just that I couldn’t follow a standard step by step procedure of learning something. Even today, I find it difficult to follow a standard procedure in doing something. If I find a better way of doing something, I’ll go for it regardless of what people have to say. I am not sure if that’s a good thing or not, but it’s just the way I am. I shifted from an all boys school to a co-education school. I had hardly any interaction with girls before this, except for my childhood friend, who I always treated like another guy. Now, here I was, all of a sudden found myself surrounded by aliens. My sister had a heart problem and my parents had to start concentrating on her and with the result I had to take complete control of my life. This proved a little too much for me and everything started falling apart. I soon started to lag behind in my academics, fellow students and teachers started to look down on me and as a result I had no friends. Things went from bad to worse over the next two years. My teachers used to humiliate me and beat me up every single day. I soon went into a state of depression and developed an inferiority complex. I lost all the confidence that I had and began to hope everyday that, that day was my last. Then one day, somewhere in the year 2000, when things had become way too much for me to handle, I went back home and burst out crying in front of my mother and I told her everything that was actually going on with me. Since then mom and dad helped me get out of my mess slowly and steadily. By the time I had passed my 10 th grade, the kid who had stopped seeing more than 50% on his mark-sheet, passed out in first division and by the time I passed out of my twelfth I could actually boast of a percentage in the eighties. It took a few more years to come out of my inferiority complex and depression. Those years weren’t easy, but today, as I look back, those days are an asset. Whenever am low or the chips are down, I just close my eyes for a few minutes and recollect those memories and say to myself, “if I could get through those days, I can get through anything.” People who have known about this feel sorry for me, but I kind of feel proud that all that happened. You may find it strange, but I kind of feel gifted. My dad always wanted me to be an engineer but left the decision on me. However, one of my dad’s friends advised him not to make me take up engineering because he felt I wouldn’t be able to cope with it. Instead, he felt I should be doing a course like arts. My dad just replied saying “it’s completely up to him. I am not going to force him into anything.” But that very day I sub-consciously decided that I am going to be an engineer and show this guy that I CAN. So here I was, in March 2004, admitted into one of the best Engineering Collge in Hyderabad. My inferiority complex hadn’t completely gone away from me. The next three years passed by pretty fine. Not too many friends but I was leading a decent life. The turning point for me came in my final year, when I got through Accenture. It was no great interview that required me to know rocket science, but, it was the first time I had achieved something all by myself. Things changed all of a sudden, I was full of confidence and could now start looking at people eye to eye. Even my class mates were shocked on seeing the new me. I was a changed person. I changed from a guy who couldn’t speak to anybody to a guy who proposed a girl in front of a hundred people knowing she wouldn’t accept it because she like someone else. I changed from a guy who hoped he was dead one day to a guy who wanted to live every moment of his life as if he had never lived before. By the time I left college, I had a set of friends who were as close to me as family and I was a person, who completely believed in himself. One thing I learnt from all this, it was never the way others looked at me that changed, it was the way I looked at the world that made all the difference. 2007 to present – Life in the corporate world. Although I had done my electrical engineering, I was always fond of software. I could sit for hours and code something. Joining Accenture was a dream come true. I entered this organization with a picture in my head, where all I would be doing is coding software, something I loved doing. However, I soon realized corporate world had many more dynamics attached to it. The past three years have gone from excitement of finally getting to earn your own money to frustration on seeing no future in what I was doing to realization that however pathetic things are, in the end of the day you have to face them. The question I had to ask myself again was, “are things that bad or is it the way I am looking at them?” The answer didn’t really surprise me. The minute I changed my perception about things, things at work changed automatically. So that’s how my life has been for the past twenty five years. I won’t say it’s been a great life, neither will I say it’s been a bad life. It’s just been a journey of crests and troughs and with each crest and each trough, I have grown as a person. 63 Responses to "I – My mini-autobiography"
Your life is beautiful and perfect just as it is. You are what you are today, cause of these life experiences. You have grown into a mature, understanding and loving individual. And thats what matters ultimately. That you are growing…growing with each day and all for the better. And the best part is…this is ONLY your life. Only yours. think about it..noone else will ever live this life ever….you are unique and special..and so is your life. Mast mast…very honest and introspective review of your life! Keep up the brilliance, Tavish bhai! It is so nice to note that despite all the initial lows, you have conquered all and are successful and happy. I know, it's truly commendable and it's something to be proud of!! Wishing you the very best in everything you do and this contest too! You are the real hero.Despite problems from almost at your birth time,you did manage to stand up to yourself. But, you must not forget the role played by your parents in your success. God is watching all of us—He will never do injustice. You don't cease to amaze me! Such maturity at such a young age. Kudos buddy! You truly rock! You are already a celebrity to me. You are a true winner…please be that way always or as a Jedi would "May the force be with you". on one end life is a bundle of trials and tribulations and on the other of immense joy and that is what make heroes of men!!! and this is just a quarter of a life, look at what you have achieved, imagine all that is yet to be achieved, err…autograph please, God Bless!!! …very well written, simple and straight from the heart *bows down* with respect. Thanks LP… all the best to you too! Thank you so much! That was a really sweet comment..thanks! Thank you so much buddy… that was really flattering! Thanks buddy. Good luck to you too! One can sense the truthfulness in every word and it was so simple, straight forward and well thought. Just goes to show the stuff you are made up of!! Can sense the Grit and Determination. No complexes at all!! 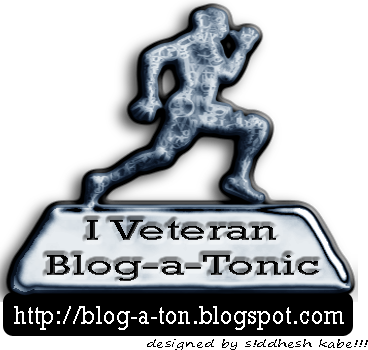 an inspiring story…..i love reading personal posts….and know people around me……in the blogosphere…..it was good to read about you and know you better……..
Tavish, awesome post, well written, straight from the heart and I am impressed. dear Tavish yours is a very sincere attempt.i wish all the best in what ever you do.love you always gonu didi. you know Tavish, one day when you're a famous writer or something, you can actually use this post and expand it into a full length autobiography. it's so interesting, so well-written, so honest and frank. and i could relate to several parts of it too. That was so inspiring, Tavish! "One thing I learnt from all this, it was never the way others looked at me that changed, it was the way I looked at the world that made all the difference." Very well said. Good luck fr the contest! Yours is one superbly inspiring story! I am speechless! And truly your life is one indisputable example that God is truly great! If you hadn't shared the delicate details of your struggle as a child we would never have known. I can only say that all your pain has been our gain. 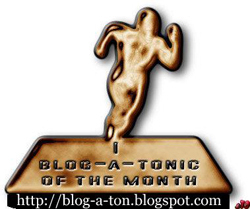 We have an awesome, brainy multi-talented, extremely sharp Blogger Dost! Well, am more than fine now buddy hehe… good to know that u conquered ur complexes… i know they keep coming back now and then with me too…but ive learnt how to deal with them… i am sure u have too… good luck! Very well delivered, Tavish.. May God bless you with all the courage to face the ups n downs (Praying there be none) in the future too, the way you have been facing your life from childhood. Thanks allot for those kind words…all the best to u too! You have such a beautiful life. Blessed to find such lovely parents. I am so proud to be one of your closest friends. you should have been a writer instead of an engineer. Well written…ups n down r in life!! U write really very well. I had no idea that u had a website…nice one bro, its quite interesting!! Liked the layout of your website!! Keep the good work going!! Hey thanks Nazish… am glad u liked the stuff here! Hi. I wanted to drop you a quick note to express my thanks. I¡¯ve been following your blog for a month or so and have picked up a ton of good information as well as enjoyed the way you¡¯ve structured your site. Btw, Lots of similar things.. .I also did engineering in electricals but still interested in coding.. Joined accenture.. working in same location.. ufff.. co-incidence. fantastic buddy…i didn’t knew that u write so well…the flow of ur writing is so good, it doesn’t allows the reader to go away without complete reading..
Hey Tavish a mesmerizing piece of beauty, m not talking about the way you have made it to fall on paper, but the way u have made it so beautiful till now. Must say astounding, m moved literally . Nice one dude! You are awsome man! There is lot to learn from you.